The BBC has set out its "radical" vision for how it should operate in the 21st Century as part of its charter review process. New director general Mark Thompson and chairman Michael Grade outlined a nine-point manifesto on Tuesday. "I want a BBC that delivers wonderful programmes that offer something of value to everyone," said Mr Grade. The BBC's Royal Charter, which sets out its aims, objectives and functions, expires at the end of 2006. "Our task over the next year is to convince the British public that the BBC's role in the new digital age of plenty is both justified and necessary," said the chairman. The BBC has published the submission to the government, making the case for renewal of its charter. One of the key changes will be a clear separation between the role of the governors and the management of the BBC, said Mr Grade. It lays out the independent, public service role of the BBC, its regulation and funding through a compulsory licence fee. BBC correspondent Nick Higham said that the role of the governors had been criticised in the wake of the Hutton report for being too close to the BBC executive. He said there would now be a "change in the relationship between between the BBC governors and the rest of the organisation to make them more like an independent regulator". Commercial broadcasters have argued that the BBC should be regulated by the UK's media watchdog, Ofcom. A dedicated Governance Unit will be set up, independent of the management, which will bring in external experts and advisors to evaluate the BBC's services. Mr Grade also introduced the concept of the Public Value Test which will be formally applied before new services, projects and changes, are given approval. Approval would only be given if the proposal satisfied four key points: quality, impact, audience reach and value for money, he said. Mr Higham said the BBC wanted "to put more emphasis on measuring public value". "Because it's paid for out of the licence fee it needs to justify what it does so it needs to find clever ways of measuring its contribution to our lives as individiduals as viewers and listeners, its contribution to society at large and its contribution to the whole of the broadcasting world," he said. The fall-out of the Hutton report, which investigated a news broadcast about the Iraq war, saw the resignations of chairman Gavyn Davies and director general Greg Dyke. The two men brought in to replace them are adamant the BBC needs to go through a period of change, with some of the new policies being immediately implemented. Mr Grade also stressed the governors were committed to pushing for the continuance of the licence fee, while making the corporation more efficient and increasing commercial revenues. The level of the licence fee could be decided by an independent body, said Mr Thompson. In setting out the BBC's nine point manifesto, Mr Thompson stressed the BBC was committed to building a digital Britain, through TV, radio and the internet. "We can help build an infrastructure, but digital Britain will only come to life if it also becomes a creative space in which the best ideas and the best talent can meets audiences who are hungry for originality and quality," he said. He added: "Creating a fully digital Britain is a public challenge the BBC must help to lead. It is a Britain from which the BBC, and only the BBC, can ensure no-one is excluded." He suggested the country would be ready for a complete switch-over to digital by 2012. The question of creativity and innovation in programme-making was also raised, with an emphasis on eliminating "derivative and cynical" shows and discovering the best new talent. "The essence of successful public service broadcasting is that it never patronises its audience, never offers them cynical, derivative, exploitative programming," said Mr Grade. Mr Thompson also wanted the BBC's journalism to be at the forefront of global news. "The BBC aims to support civic life and national debate by providing trusted and impartial news and information of the highest quality, to help everyone to make sense of the world and to engage with it." The manifesto also set out aims to have 50% of public service employees based outside the BBC over the next 10 years, investing £1bn outside London. 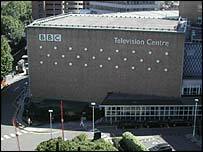 The plans include making Manchester the largest broadcast centre outside London. Where does the word 'public service' come in EastEnders, the Lottery or Strictly Come Dancing? Culture Secretary Tessa Jowell, who is responsible for awarding the Royal Charter, has previously said the only certainty of the review process was that the BBC would remain "strong and independent". The government is consulting the public before the current charter, which sets out the BBC's objectives and functions, expires in 2006. In the past the charters have run for 10 years but Ms Jowell said that was not fixed. She said she was "well aware of the arguments" on continuing the practice of granting a 10-year licence but added: "This and all other aspects on the BBC's governance and financing are currently subject to the process of review of its charter." Kelvin MacKenzie, former editor of the Sun and owner of the Wireless Group, told the Today programme that he believed the time was right to "dismantle" the BBC. He said: "We are now in a digital age. There are hundreds of TV channels and dozens of commercial radio channels, digital or otherwise. "Why should we face going to jail if we do not pay £121 a year for TV and radio that is not required and could be paid for by commercial forces." 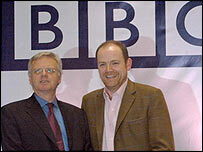 Mr MacKenzie questioned the public service value of some of the BBC's output. "Where does the word 'public service' come in EastEnders, the Lottery or Strictly Come Dancing? They are called entertainment. Entertainment is supplied by lots of different outlets in the commercial world and can be supplied for nothing." "The final decision about the BBC's future lies with the government"